In August of last year, St. Louis Magazine published “Six Things to Love About Randolfi’s Italian Kitchen“. The list included, the atmosphere, the pasta, the pizza, quality ingredients, the bar, and the dessert. We won’t disagree with any of those, but we’d like to add the menu. 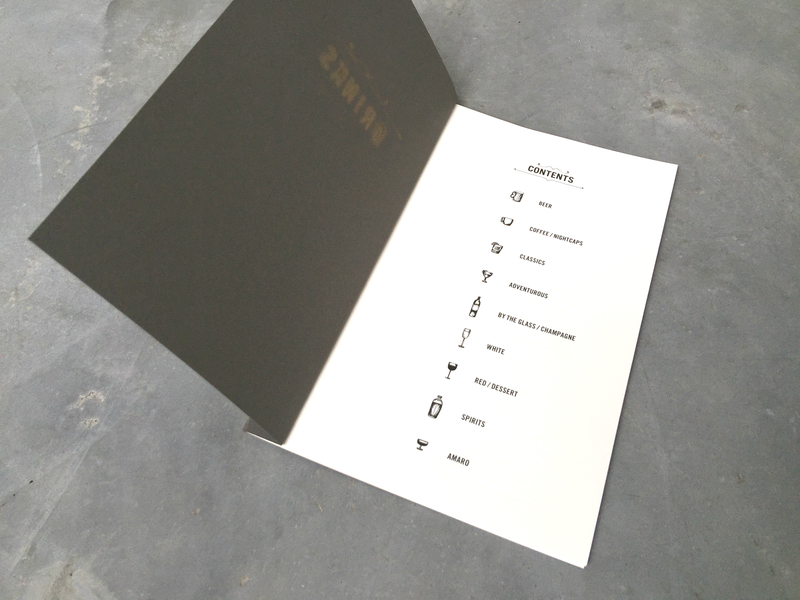 And we really mean the menu, not what you can order, but the actual drink menu itself. 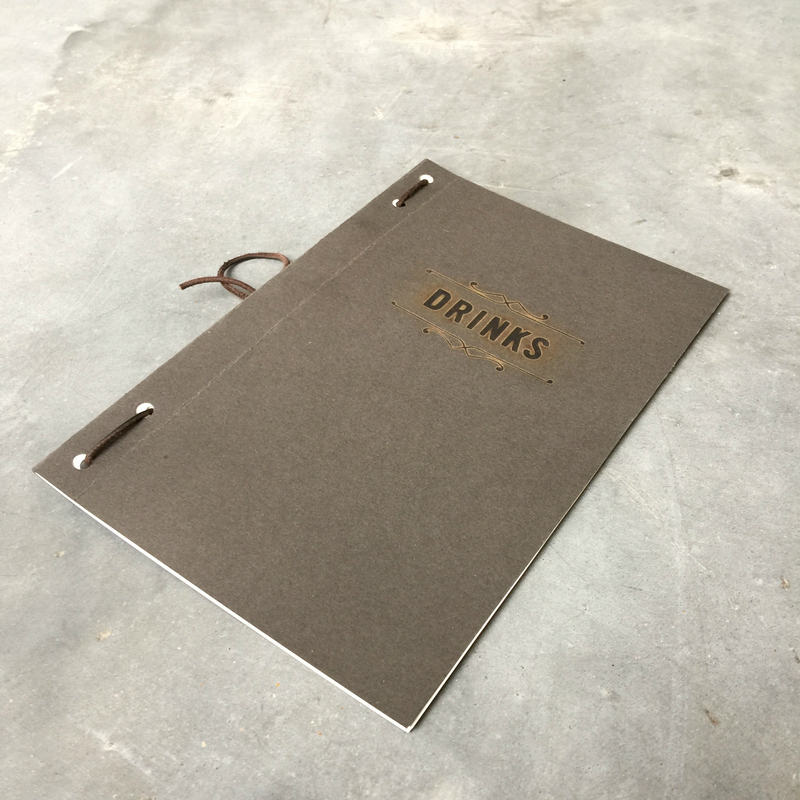 Crafted by our own James Butler, the fire-branded, leather-tied, clear-coated drink menu is yet another thing to love about Mike Randolph’s award-winning restaurant. Of course SPACE Architecture + Design also designed and built the remade space that was The Good Pie. The new menus were put to work for the first time last night for the release of Randolfi’s spring cocktail selection. Midwest Printing worked the quality and delivery magic to bring the idea to reality in short order and to exacting specifications. Gearheart Industries was the wizardry behind the branding iron itself. We hope it’s another small touch that makes Randolfi’s something more that a well-designed and amazing restaurant. Sometimes we’re most proud of the smaller projects that demonstrate the incredibly creative and talented staff at SPACE. We’re very proud to bring value to a project, from master planning, to architectural design, to menus. That’s what makes SPACE a special place.